Dr Norman Simms has taught in New Zealand, Canada, France, and Israel for over forty years as a specialist in literature and in Jewish thought and identity. His latest work, “Jews in an Illusion of Paradise: Dust and Ashes Volume One” focuses on a small group of late 19th and early 20th century European Jewish intellectuals who believed they had entered a new secular and tolerant society in Western Europe, but discovered that there was no escape from their Jewish heritage and way of seeing the world. Simm’s approach in this work, as with his others, is both literary and psychological. He demonstrates the paradoxical nature of accusations against the typified Jew: at once ‘the source of’ and ‘the threat to’ christianity, capitalism, marxism, humanism, monotheism, science, health, comedy, film, finance and economics, medicine, pedagogy, law, music, art, curation, literature, and, ultimately identity itself. The permutations of European anti-Semitism over centuries and decades are evidenced in paintings, theatre, and literature. These ‘arts’ express the evolution and devolution of variations of the ‘European self’ – the various identities that contribute to the sense of ‘we’. 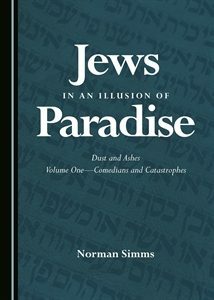 Simms’ recent publications reflect on how Jews have been, and still are, variously depicted in Western narratives. Unlike the more systematic approach to exposing anti-Semitism that, for example, Sir Anthony Julius took when exposing T.S Eliot’s hatred of the Jew, Simms’ is more rabbinical in nature. He reflects on Jewish identity in Western art and letters, comparing texts and images for meaning and considers the possible psychological motivations of authors and actors. Simms’ work clarifies our comprehension about attacks on objective standards of truth, history and evidence. He draws our attention to the perverted parallels between ancient and contemporary bigotry, whether they are ancient blood libels or the equivalent reincarnation – false equivalencies used at the United Nations, or biased media and political defamation of the Jewish State in lieu of Shylock or Dreyfus. An adventurer in ideas, identity, and textual meaning, Simm’s diverse foci are bound together by the central theme of Jewish identity, and both philo and anti responses to this identity by non-Jews and by Jews themselves. Simms’ output has been prolific over his 40-year career. He is the author of no less than 10 books, dozens of critical essays, and as many comedic narratives – some of which are autobiographical. Simms grew up in Boro Park, a highly Jewish neighbourhood of Brooklyn. In this sense, he began his life straddling a lost world devastated by old Europe and the possibilities of America’s new world. He gained his BA from Alfred University in New York State and his MA and PhD from Washington University, Saint Louis. In the mid 60s, and after the completion of his Doctorate, Simms moved to New Zealand and based himself and his young family in Hamilton, becoming a lecturer in English literature at Waikato University. In recent years Simms has completed major surveys of Alfred Dreyfus, studying his personal letters to provide a new vantage point for understanding Dreyfus as a husband, father, son and writer artist. 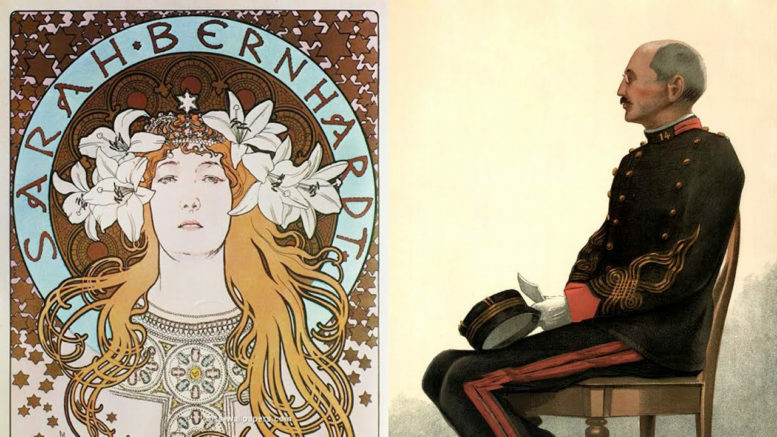 In revealing the human qualities of Dreyfus and his often touching dialogues with his closest family, Simms demonstrates the dark psychological facets of anti-Semitism. He shows how the oldest hatred has morphed through language but shares the same base origins as all racism: fear, jealousy, and resentment of the unusual other for doing well, for doing badly, for doing the same, for doing differently – for being. In a time when Europe’s sense of itself is less certain, Jews, or the Jewish State, serve the same modern purpose as the medieval ‘witch of the village’ – the useful, if false, scapegoat for societal problems. Simms looks into the imperfect mirror of cultural experience and writes of the reflection rather than the distortion, musing on how and why so many Jews deluded themselves into thinking that they would be treated as equals and how that delusion led even in some cases to death. As one reviewer has written “It is not just another history book or sociological treatise on an all too familiar phenomenon – the Jew who thinks he or she is acceptable to the world but is never quite fully tolerated..” An Illusion of Paradise is a subtle and deep analysis of how artists, with a collective group fantasy, would experience betrayal and annihilation. Simms brings a realistic view that anti-Semitism is always lurking in the shadows.